Welcome-welcome-welcome to our website! 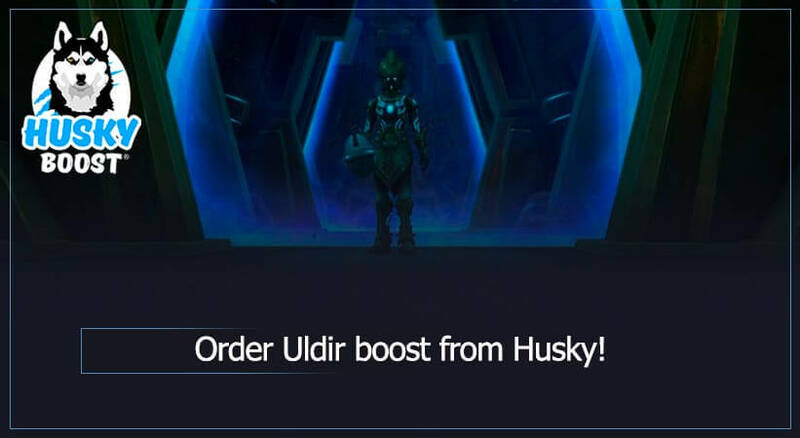 This time we’re going to introduce an article about WoW Uldir boost! The most challenging trials for Heroes in World of Warcraft were, are, and will be raid dungeons. 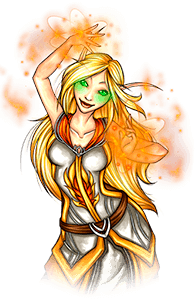 There is a reason nearly everyone in Azeroth watch the best guilds of the world complete a newly opened raid. 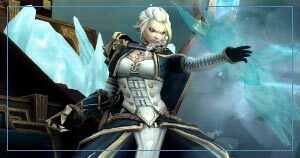 Those who have already gone through this challenge not only earn fame among other players but prestigious achievements, best equipment and unique mounts as well. However, not everyone can spend enough time on actual raid content, because it takes to manage a lot of things and find a cohesive skilled raid group. It’s only natural that the developers have improved solo-players’ situation by simplifying the process of searching for a raid group, but you can’t disagree that it’s way harder to do anything with some random people. “So, how do I complete an actual raid?” – you may ask. Well, Husky has an answer! 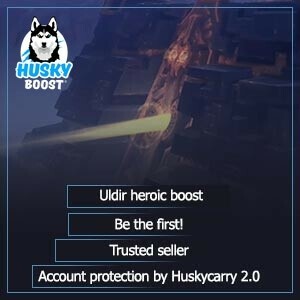 Just go to our website, visit WoW section and buy a boost you want, for example, Uldir one. Our skilled team of professionals will start working on your request immediately. Whether you are at work, in a university or simply chilling with your friends, your avatar will be gaining strength! 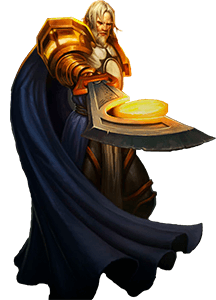 Uldir is an ancient laboratory of titans created with only one reason – examine the Void energy in order to find a weakness in the Ancient Gods and other creatures of the dark. 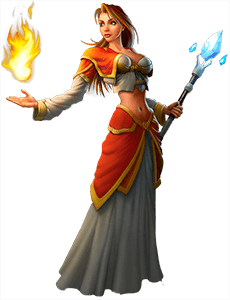 Despite the fact that Heroes of Horde and Alliance travel their own paths, their trusted comrades would bravely open a passage to this ancient laboratory. Horde gets there during the completion of Nazmir swamps questline, led by Princess Talanji herself. And Alliance arrives at Nazmir swamp, where the laboratory is located, a bit later than Horde but nevertheless, led by Brann Bronzebeard, champions of Alliance enter a dark gloomy fortress in order to save to world. 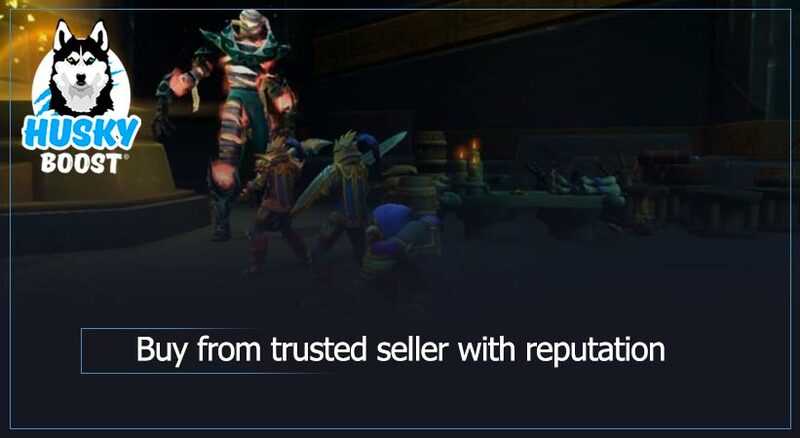 You are granted an opportunity of a fast completion of Uldir raid and receiving all the dropped loot that matches your equipment class by means of simply ordering a boost at our website in WoW section. Don’t waste your precious time spending hours waiting in a queue for raid search closure. Don’t worry, mind your own business while your character does everything necessary in order to do the work flawlessly. The first enemy turns out to be Taloс, a gigantic guard golem that suffered the blood corruption. After facing such a brutal enemy, champions face the purification system that is the Overseer of the facility. She will cleanse heroes of corruption so they could proceed further. 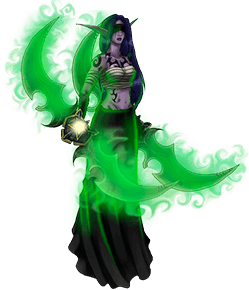 Nearly every turn is followed by a Fetid Devourer, dead loa revived by the force of the corruption, a victim of an experiment whose destiny is to ruin every raid group that dares to challenge him. Shortly after, Zek’Voz, herald of N’zoth, ancient messenger of an even more ancient god that arrived to Zandalar with only one purpose – to subdue troll tribes to his master’s will. However, he got into a trap – laboratory defense systems and got imprisoned. But the creature that was born from a mixture of bloody corruption and cursed blood of Gunn. 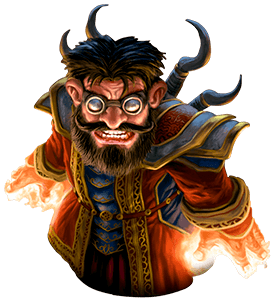 A horrible, disgusting creature that has to be taken down – Vectis. 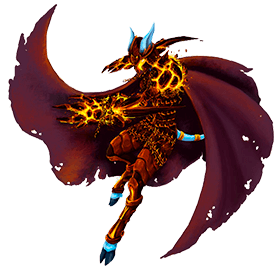 But even after beating this monster, even more dangerousness awaits our heroes – Zel the Reborn, once a member of Zanchuli council, one of the greatest prophets and a traitor that fell for the call of the servant of an ancient god. Further Mithrax the Disaggregator awaits. 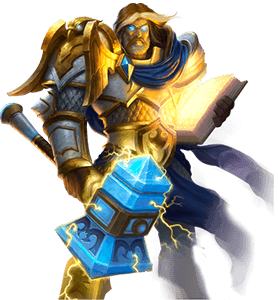 The one who took down Setraliss and returned to his master, but encountered heroes. He simply couldn’t let them live. 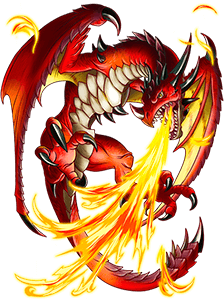 And the last trial is defeating Gunn, a creature made by the titans for consuming the corruption, an ideal parasite reincarnated as an extremely dangerous foe for the years of existing. However, there is a salvation. 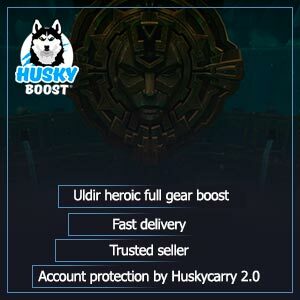 Husky offers a vast amount of WoW services, even Uldir boost all around the globe, which means anyone can purchase it either our customers play EU or US servers and ease their own burden. It’s worth mentioning that this raid has three difficulty levels. Let’s take them apart. Normal difficulty contains drop of 355 ilvl equipment and the process is rather simple and easily approached. Well, it’s called “normal” for a reason. Supposedly, the lore is best to be learned at this difficulty. 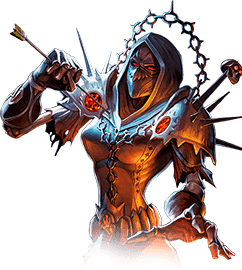 Heroic difficulty is challenging for a lot of Heroes. Not every randomly gathered group has enough strength to manage to beat this exhausting trial. 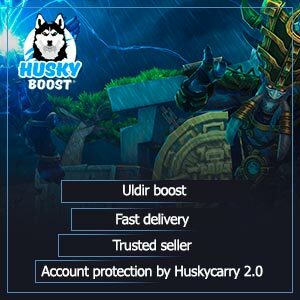 Thanks to Husky, it’s available to everyone, because it’s very easy to order a cheap Uldir boost at our WoW section. 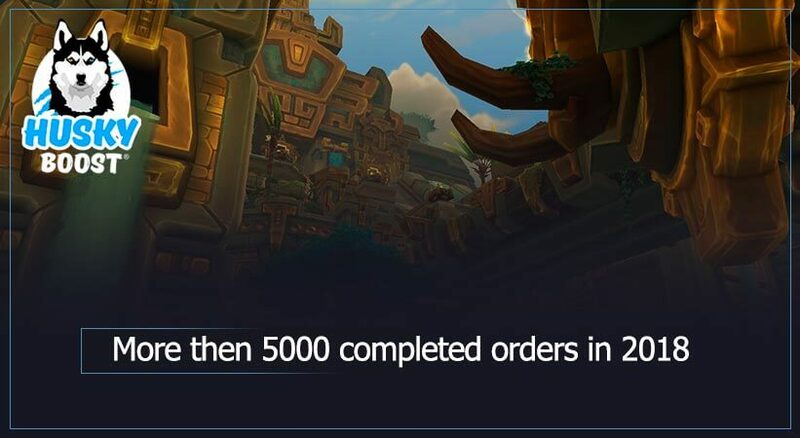 Items of 370 ilvl can be obtained there. Mythic difficulty is a true nightmare for everyone who has ever faced it before. 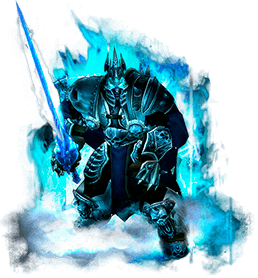 Bosses are extraordinary strong and smarter, gaining additional mechanics. However, the reward is worth the risk. 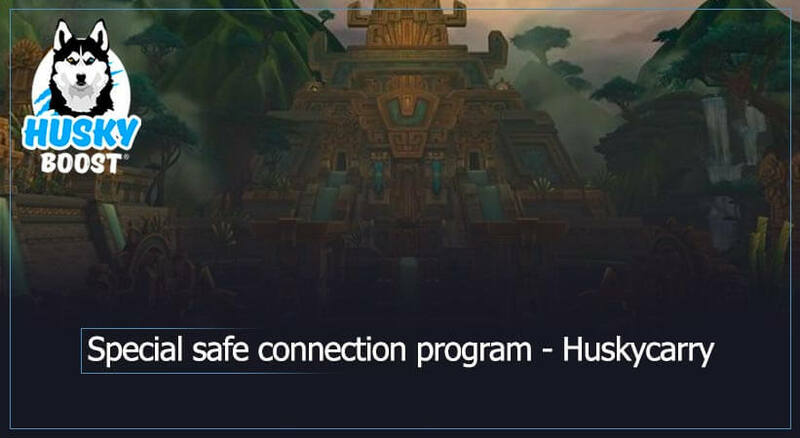 Loot of 385 ilvl, prestigious achievements, fame among others and, a proof of your skill as a result – a free entry to any raid group in the gathering interface. 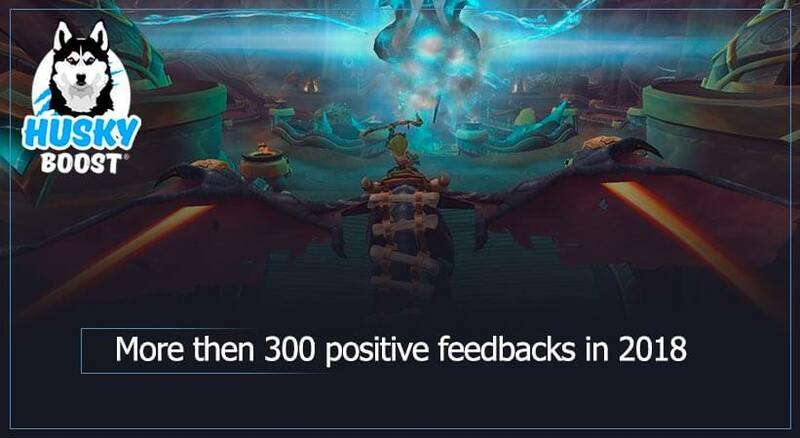 The final boss of the dungeon – Gunn awards players with an achievement that will no longer be available after the new content releases. It is essential if you want to let everybody know the thorny path your character has gone through. 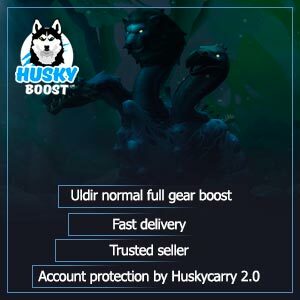 Thankfully, no boss is too strong for Husky so it’s safe to order our Uldir boost so our professionals would lead your avatar through an amazing WoW adventure, equip him with elite gear and receive over a dozen mythic achievements! 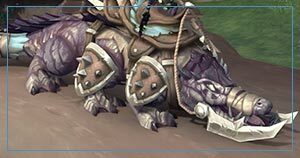 Also, let’s not forget that in raid dungeon Uldir it is possible to receive a unique mount for a bunch of achievements. 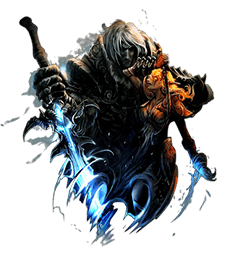 The task itself is incredibly hard, because it requires accomplishing various specific requirements during each boss fight. Moreover, these requirements are not obvious in any way. On the other hand, the reward is worth it because it gifts you a unique and extremely rare rideable pet – drunk with blood Krog. 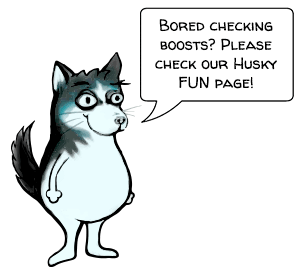 Huskyboosters are always ready and willing to help our customers receive it! Do not hold back and contact us! It was a pleasure, please come again!